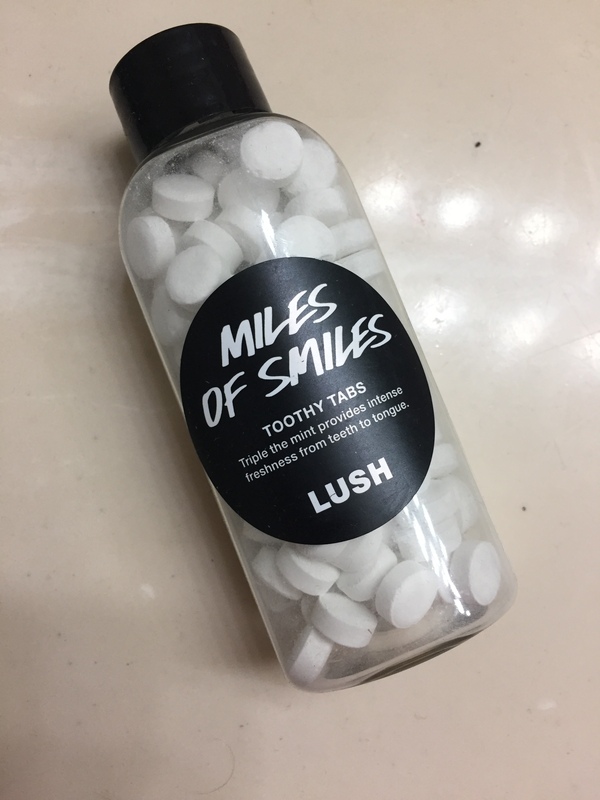 I’ve used Lush’s Toothy Tabs before, and they’re definitely different, but in a great way. Thinking ahead to my upcoming trips this year, I grabbed a bottle of them recently at my local Lush, and tried out this new flavor. Miles of Smiles is incredibly different from Dirty (the flavor I tried before) because it is all mint, all the time. These little tablets have English peppermint, organic peppermint, and wild mint to blast the bad breath and fight plaque! It’s a great combo, because unlike Dirty which made me continue to feel self conscious about my breath, I felt great about my breath after using these. Toothy Tabs are a more natural alternative to toothpaste. 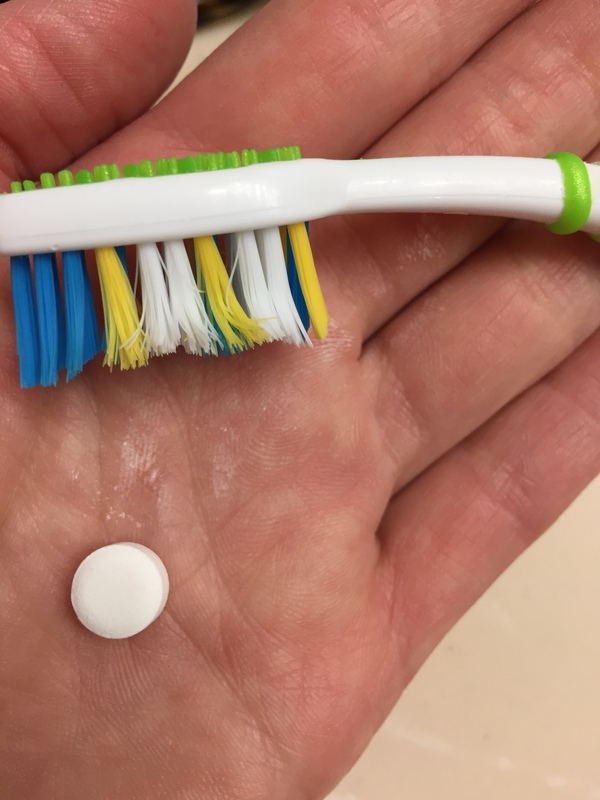 You pop one into your mouth, chew it a bit, soak your toothbrush with water, and brush it up! It foams more than regular toothpaste, and tastes a little weird at first (there’s baking soda in it), but it gets the job done well. I am not a super natural/organic only type of gal, so I use this in the mornings and toothpaste at night, but when I travel overseas and am limited with my liquids, I’ll be bringing Toothy Tabs. I’m really excited about these. I know it’s a relatively simple thing, but it’s nice to have an easy, lightweight, and dry alternative to toothpaste. It’ll make travel easier (especially with the bottle they’ve started carrying instead of just the paper box), and it makes brushing a bit more interesting. I definitely recommend Toothy Tabs. They’re fun and easy to use, plus having a couple fewer harsh chemicals in your mouth isn’t necessarily a bad thing!